How does the Indian industry plan to deal with the rapidly evolving future of work? Is it reluctant to invest in the upskilling and reskilling of workers? Indian industry representative to ILO’s ‘global commission’ explains. 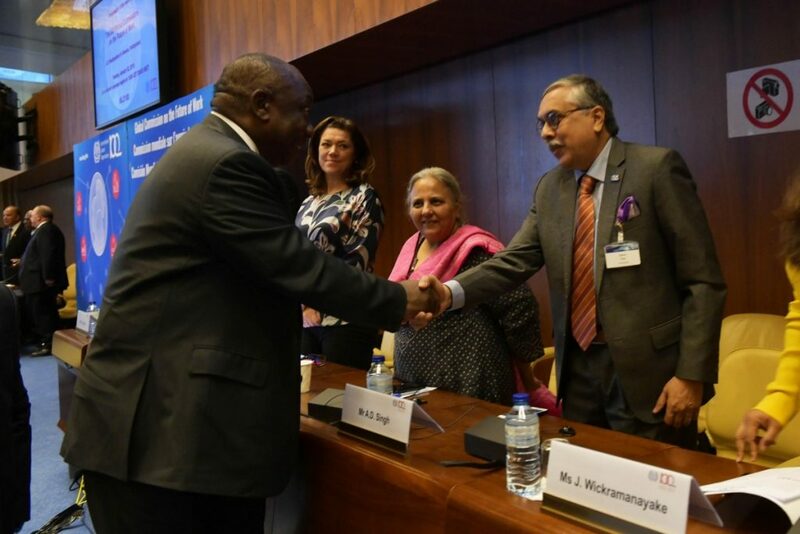 Geneva: On the side-lines of the centenary celebrations of the International Labour Organisation (ILO), The Wire interviewed Alwyn Didar Singh, former secretary-general of the Federation of Indian Chambers of Commerce & Industry. 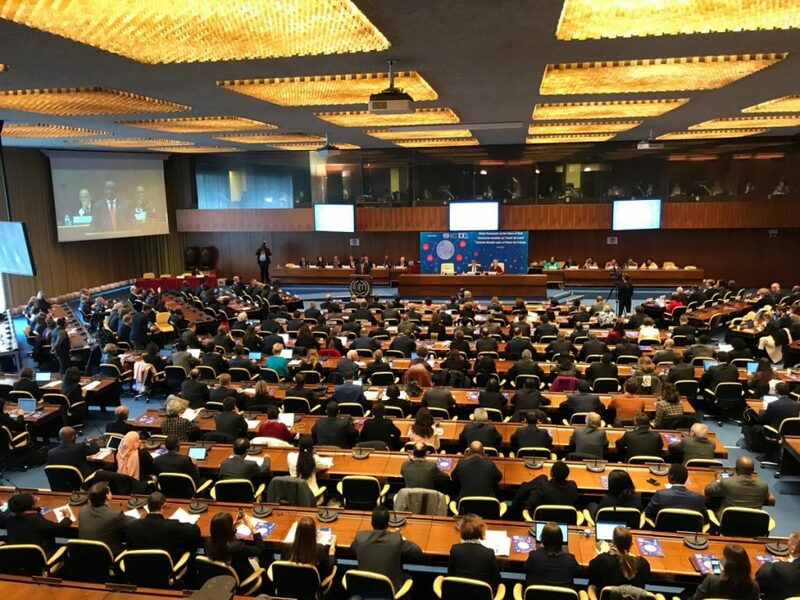 Singh was one of the 27 commissioners in the ILO’s ‘Global Commission on the Future of Work’ that released its report in Geneva on Tuesday. What concerns did you have in mind before going into the consultations for the report? Specifically, what challenges do you think Indian industry faces by the manner in which the world of work is evolving? Neither Indian industry, nor Indian society, nor Indian politics really understand what is the future of work. Even global society or politics does not understand it. We are all apprehensive about it, but we don’t really know for sure. It’s like climate change – we know that it’s coming, we’re trying to prepare for it, but we can’t say exactly what it will be. It’s the same with ‘future of work’ or technology. The second thing that is really important to understand in this context is that the future of work is not an app. It’s not something that you can just put on your phone and then handle it. It’s like life. Life is not an app. Today we think that technology provides answers to everything. It does not provide answers to life. It does not provide answers to what will be the future of work. So, in trying to attempt to find those answers, I think, lies the work of businesses, governments and the ILO itself. 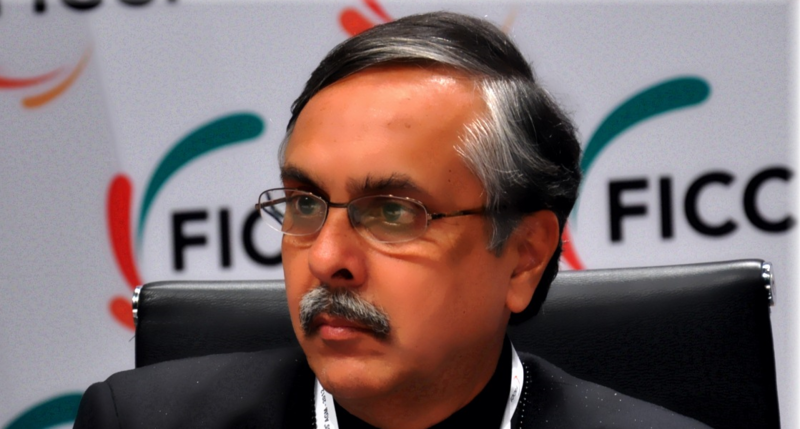 FICCI has recommended a cut in corporate taxes whereas a recent Oxfam report reveals corporates are paying the lowest taxes in decades; even the commission’s report says “tax systems should be equitable and consistent with the promotion of decent work, economic growth and enterprise development and the tax take needs to be sufficient to meet the ambitions of the human-centred agenda”. Will lowering it further not result in concentration of wealth to the rich and fund cuts for social spending, including for workers’ welfare? When you talk of corporate tax, remember that it is only direct tax that you are talking about. The bulk of finances in any government come from indirect taxes. So, it’s very minuscule to start with. It’s important to remember that whether we look at the future of work, the future of the industry, development, any government or society, we are looking at a situation where we want to improve the day-to-day living of individuals. What does that require? That requires growth, and for growth, the argument goes that it will come when the economy grows. It’s because only when you generate surpluses, you have funds for any kind of development work. So, in that context, FICCI has been asking for lowering of corporate tax so that there is greater investment by the corporate into industries because industry and manufacturing is the key to growth. It’s also the key to employment. If there are no employers, there are no employees. To spur the development of any economy, it is important to have incentives for growth. One such incentive is lower taxes that will incentivise businesses to do more production, manufacturing and services etc. to ensure that there is growth. You’ve raised a second issue: surpluses are available with the government to handle and manage all the requirements for any society. This brings us to the aspect of the social contract. Why do we have a government to start with? It’s a social contract that individual societies have with every one of their governments irrespective of which part of the globe you’re a part of. In that context, we expect the government to deliver on these aspects. So, in many parts of the report, you’ll find recommendations, essentially to the governments of member states, on how they must then implement or bring-in policies that incentivise. We’ve talked about social security. It cannot be the responsibility just of an employer-employee relationship. It’s much more than that. It’s the responsibility of governments in any state to provide for its citizens a good, decent life which includes decent work. So, this is a combination of having surpluses on one hand and having incentives to growth on the other. You do have to balance between the two but remember what I said right in the beginning – when you talk of tax rates, we are talking of a minuscule part of only corporate taxes which is a direct tax. We are not talking of the entire indirect taxation system. We’re not talking about customs duties; we are not talking about so many other kinds of ways in which governments raise money around the world. On provisions like Fixed Term Employment and amendments to the Trade Union Act, workers are unhappy and union leaders allege that it leads to precarious jobs, a ‘hire and fire’ regime and shrinking of the social security net. Response from the industry is positive though, how do you reconcile ‘ease of doing business’ with the commission’s goals of a fairer future of work and ‘leaving no worker behind’? Organisations like the ILO make recommendations which are then sent to the member states. The ILO has 187 member states but it is the sovereign responsibility and the sovereign right of every government to choose what it wishes to have for its own agenda and its own economic system. In many parts of the world including in India, we have been asking for labour reforms. What is the meaning of labour reforms? It is not to be seen as hiring and firing of labour. It is to be seen as a good ‘ease of doing business’ environment, which again brings us to the same thing that we’re talking about –growth. If you want more manufacturing, more industry, more businesses and more services, you have to make the ease of functioning as an industry better and easier in your country. Otherwise, that same investment will go to some other country. So, to ensure that a) it comes in to your country and b) that the local businesses also invest in the same country and spur greater manufacturing, you have to have easier rules and regulations to manage day-to-day business and one of those aspects of ease of doing business and ease of any form of management is labour reforms. And again, as I am mentioning, labour reform is not necessarily hire and fire. Labour reform is just making the field a little easier for businesses to manage because not all businesses succeed, not all businesses are great. Not all MNCs are turning into giants like Facebook or Microsoft. There are many kinds of businesses, especially small and medium industry. The small and medium industry has hundreds of problems, and if you are going to load the problem of labour responsibility on to them, then you’re making their day-to-day functioning that much more difficult. So, we’ve just been arguing for making it easier and better for businesses to function in India. But if we look at the ground reality, most workers are now being hired on contract. They are the most vulnerable as they lack access to crucial legal protections and social security. So, don’t you think fixed-term employment exposes them to further vulnerability? You’re absolutely right. In fact, that is really the reason why you will see in this report for the first time, the mention of informal work. We insisted on it. I actually put it in there. I wanted, in fact, for it to even go beyond that position but it didn’t happen. In India and most developing countries, the bulk of their workers are actually in the informal sector. There are two parts to the informal sector, rather three parts – part number one, the entire informal sector is that of agriculture and other casual labour. A second very large part is what you’re mentioning, contract labour and a third part are the jobs in the gig economy. 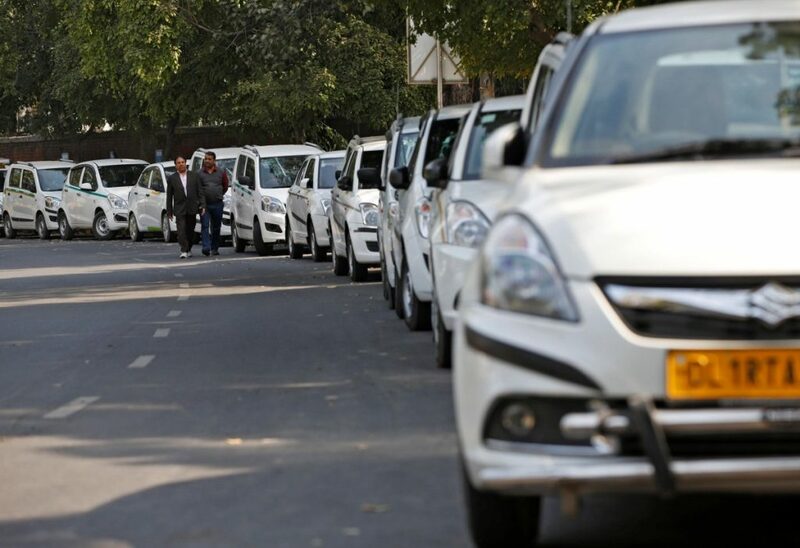 For example, an Uber or Ola driver – is he a full-time employee? Is he an entrepreneur? Is he a dispatch rider? What is he? So, the gig economy is changing the way you recognise work. In this context, it is important to understand that this responsibility of informal work is something which has to be shared not just by the employer, but by our society and therefore by the government. Coming back to the point we were making earlier – when we talk of social security or of guarantees, it’s a guarantee by the society, not by any individual who may be giving a part-time job to any particular person. Because in a gig economy, it is all going to be part-time jobs. In a sense, it is very attractive for an individual that they can work somewhere in the morning or somewhere else in the afternoon and yet another place in the evening if they need to better their lives in a particular manner. Or if they want to relax in a particular manner. So, the gig economy has many positive aspects and it also has negative aspects. As we move into this future of work, which is coming because of technology, we have to understand that this relationship between employer and employee is going to change, particularly in the informal sector. We must recognise this especially for countries like India, where 93% of all our workers are in the informal sector. You know it’s okay to talk of the OECD countries where trade unions, formal workers and governments are all in a nice-tight environment. But in the developing countries, the situation is quite different. This is what needs to be recognised. And this needs to be not only recognised, it has to be brought into the core system itself. In the report, we are talking, in fact, of something about all national governments now making a national strategy for the future of work. In that national strategy, it will be important to ensure that all stakeholders are taken in. In other words, it can’t be just discussion between trade unions, employers and governments. It must also include informal work. How do we include that? So, you have to have representatives of… I don’t know… maybe associations of Ola and Uber, maybe associations of rag-pickers, maybe associations of farmers. And this is a responsibility that the government has to take and each individual country, each individual member state of the ILO has to take its own view on this matter, include informal workers and their representatives also in the discussion. When we evolve a system for the future of work, the policy will support the idea of having this kind of different types of work and the responsibilities of social security’s etc. that all the voices are heard and brought into policy debate itself. When we talk about labour reforms, for example when the Industrial Disputes Act is being included in the code for industrial relations, there are some crucial changes in their provisions like the threshold is raised from 100 to 300 workers i.e. industries that employ less than 300 people can now shut down without government permission. Do you think that encourages growth in the economy? Or does it make workers more vulnerable? You are raising the same question we have just addressed, which is the labour reform question. There are so many aspects of labour reform. You are probably aware of this, there are some 44 different labour laws that are operational right now. FICCI, in fact, put out a paper four years ago saying that all the 44 Acts can be brought down to just four codes. So, there is an attempt of government also to try and do that to make it simplified, to make it better for ease of doing business. You may argue on the one hand that increasing the threshold from 100 to 300 is retrograde but on the other hand, many businesses will argue that it is very progressive. Because it makes it possible for that very entrepreneur and that particular business to shift its way of doing business. Today, I may be manufacturing auto parts, tomorrow I’d be making steel, day after I may move and set up restaurants. So, there are different opportunities that come from time to time and we must recognise that in this age of the gig economy, the age of start-ups, the age of innovation, each business must be given the opportunity to function as it best can and it best does in this very vibrant technological and knowledge economy that we are all talking about. Taking forward from that very question, of the gig economy being the future, does the Indian industry realise the importance of lifelong learning and is willing to invest in reskilling and upskilling workers? Because, like you said, if they are demanding autonomy and the freedom to shift from one thing to the other, that also leaves workers vulnerable. So, is the industry willing to invest in the reskilling and upskilling of the workers who are going to lose their jobs? What about the approach to automation and mechanisation, what steps are the industries taking to ensure humans are truly at the centre of the changing world of work? There are two issues that I’d like to address here. First of all, when we talk about technology and its impact on the future of work, it cannot be and it never will be common across every country in the world. There will be different levels of its impact. For example, what may apply to OECD countries or Europe or other mature economies, will certainly not apply to emerging economies like India, China, Russia, Brazil and South Africa. And if you go down to the least developed countries, when you go down to Africa, it’s a totally different world. The point I am making is that there will always be differences between what is automatable and what is automated. Let me give a very clear example to you from the auto sector. Many aspects of the production of a car in Europe today is maybe 95% automated. But in India, it’s not even 10 or 15%. What is the reason? The reason is basically return on investment and labour arbitrage. So, if I am managing better with a lower amount of automation and being able to do that with my own workers, why am I going to spend all that expensive machinery, expensive automation that I need to bring in to my company? It’s all a question of return on that investment. Having said that, let me go back to what the shop floor does. In fact, if you look at it both from a philosophical and economical point of view, the only asset in any business that is constantly upgrading itself is the worker. Machines don’t do that. You have to pay to have a new software put in. But workers learn on the job, and they multi-skill themselves all the time. So, when you talk of lifelong learning, it’s a very vast concept. But it’s a concept that applies to everybody in society. It’s going to apply to you and me also. We also need to be able to upskill ourselves. We can do it individually; we can do it through a company or we can do it through the state. For example, the government today, in India, is running the single largest skilling programme that you’ve heard about. 400 million people to be skilled in ten years, it’s the largest in the world. And nowhere does it say that you can only learn one skill, you can learn ten if you wish to. You can learn three if you wish to. Now the future of the gig economy will need people to be multi-skilled to be able to survive in that economy. For example, a plumber will need to be an electrician. An electrician will also need to be a driver. This is the multi-skilling which is required and you and I will also need this. Besides being able to write nice articles as you do, you’ll probably also need to be able to drive your own car, play football, maybe cook for yourself. All these are skills. So, multi-skilling and lifelong learning is a reality that many of us already have. We just need to make it easier for every aspect and especially the deprived in our society to be able to get that advantage. Skill India is one way of doing it. Corporates offering multi-skilling to its own workers is another way of doing it. And it’s not necessary that the multi-skilling is done only when workers leave. It’s also to be done while they are there because you want to train them to handle, for example, if I am bringing in some machines and I’m integrating my workers with my automated machines, I need to upskill them to handle those machines. The same auto sector, even if its 15 to 20% automated, as opposed to 95% as done in Europe, I need to integrate my existing workforce with the automated machines that I bring in to that process. So, I am actually multi-skilling all the time. And this is something which, yes, member states and countries will have to address in the sense of convincing industry to do it but also making available government programmes and even international programmes like that from the ILO. Maybe the ILO has a very important role to perform in pushing skilling as a major aspect of the work that they do. Because it’s part of the requirement of future of work. Unless I have it, how will I be able to offer it? Therefore, what I am basically trying to say here is, that when we talk of lifelong learning, it’s not just a fancy phrase being put out there, it’s also a reality of how each individual and each human being, irrespective of what position she is in life, will have to be part of in the future. Various reports have shown increasing unemployment and growing inequality caused by it, even Prime Minister Narendra Modi has not been able to keep his promise of creating the number of jobs he promised. 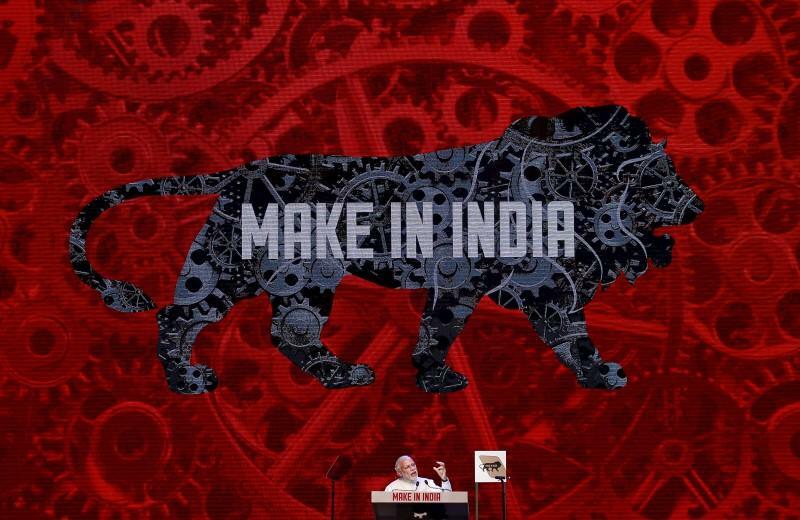 Make in India has not been able to create enough greenfield projects and there has been opposition to 100% FDI in various sectors, how do you assess the performance of Make in India and what is your view on increasing privatisation through disinvestment from CPSEs and increasing FDI? Does it not discourage the Indian MSME and public sector? How does this align with the ILO’s mandate of ensuring ‘decent jobs’ for all? While you talk of Make in India, remember one statistic – India has attracted more foreign direct investment in the last 18 months than it did in the last 18 years. And this is a reality. You can check this out in the DIPP website. Why are people investing in India? The reason is that India offers something that a lot of other countries don’t offer. For example, a single largest domestic market and a very large number of skilled people available at a cost arbitrage, not available in other parts of the world. Due to this, the largest amount of foreign direct investment is coming into India. It’s across the board, across every aspect of the economy. Yes, you’re right. Many of it is in mergers and acquisitions, many of it is in expanding their existing facilities etc. and yet it is the largest in the world. Now Make in India is not a one-time activity. We’ve been making in India for the last 70 years. It’s not that we are doing it only today. And remember Make in India should never be taken as a protectionist measure. It’s Make in India for the world. In that context, of course we need to increase our business, we need to increase manufacturing. And you’re right, manufacturing is barely 16-17% of the Indian economy when we have been saying for many years now that we want to take it up to 25% because we want to provide more jobs. But that will happen only when there is a tremendous growth in the entire business sector – services to provide jobs, agriculture to provide jobs, manufacturing to provide jobs. Yes, you’re right, traditionally manufacturing has provided the largest number of jobs and in fact, it is said, even nowadays most research papers will show you that – that even a 10% increase in manufacturing does not lead to 10% increase in jobs. It may be only 2 or 3%. So, it is a fact that as we move along, because of technology, fewer jobs will get created. In this context, we must understand, when we talk of Make in India or we talk in terms of Skill India or we talk in terms of Digital India, you’re not talking only of an employer-employee relationship. You’re also talking in terms of creating an environment in which you create entrepreneurs, you create people who make jobs or who get themselves self-employed, who have start-ups. India is already recording itself as the third largest start-up capital of the world. This is not something which has happened just by the way. It’s because you see this innovation, you see this opportunity in the Indian market that people are getting into it and doing this kind of stuff. And ultimately even this distinction between agriculture, services and manufacturing is actually going to merge. There will be just a provision of various services, activities, goods across the country. Maybe a food manufacturing company will also be a service company – all of this will merge as we move into the future of work, not just in India but in different parts of the world. And your point of the fact that, yes, this government like many governments has been promising that it’ll create x number of jobs, it’s not directly in the hand of any one government. The same thing applies to Africa, the same thing applies to South America, the same thing applies to Europe. It’s not particular only to India. It’s a tough call there. Yes, technology is replacing many jobs. Technology is also creating many jobs. 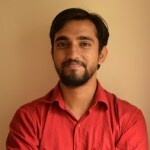 The same FICCI report that you’re mentioning actually talks of one-third, one-third, one-third – in the sense that one-third jobs may go away, one-third new jobs may get created and in one-third jobs, workers will have to be re-skilled or re-trained to do the same thing but in a different manner. So, this is a process of growth. It’s a process of how the world economy itself is evolving. It’s starting more in the OECD countries but it will trickle down everywhere else and sure enough, countries like India, counties in Africa and Asia will be impacted and will have to get on the bandwagon if they wish to remain competitive. We are lucky at the moment that India continues to be a shining example of the world looking at it, people want to invest and therefore we have the largest FDI. People see this as a place where success is possible, not just to produce in the Indian market but for the external market as well. It’s because of the labour arbitrage and skills available in the country. So, it’s an ongoing story. It’s a story which we all have to support and government policy definitely has a role there. This future of work report has mentioned certain buckets that need to be looked at. Buckets in which policy must match itself to the requirements of what the future is going to hold for us and in that sense, this report is, well it’s far-reaching in a sense, but it’s something which ultimately, member states including India will have to respond to and make their own policies. What is your view on the disinvestments from Central Public Sector Enterprises? Many economists and trade union leaders argue that CPSEs are deliberately ‘made sick’ or loss-making to do away with the responsibility of running a business. They say that efficient management and regular investment would turn them around and also retain, even create, jobs. Advocates of the free market, however, say that government has no business running businesses. What is your take? Let’s go back and look at how and why the public sector came into being. This was a conscious policy of the government way back in the 50s and 60s. The then-PM and the then government went into the whole concept of the planning mode, setting up planning commission etc. The idea was that maybe the Indian private sector is not yet mature enough to handle all the businesses, and you needed to bring the public-sector in. You did bring it. It was very successful. But then the issue of productivity came up. At the end of the day, competitiveness is all about productivity. And when in 1991, we opened up or liberalised our economy, we suddenly saw a real spurt in our productivity and private businesses. After that, people began to question if the public sector was matching what the private sector can and should do? Now there are many public-sector companies which function like the private sector. NTPC and BHEL for example. There are many examples like that which are extremely good public sector organisations. But I think it is important that when we look at a company, we should look at it as a company, not as whether they are public sector or private sector. They have a role to perform. The competition must be open. And if a public sector is not matching up to it, you have to go down the drain and you have to be either disinvested or have a strategic partner who will help you do it in a particular manner. Because we do know that in India and in many parts of the world, this question of public-private partnership has been a norm and it has been accepted around the world. In India, we accepted it in many ways. In infrastructure for example. What I am trying to say is that yes, there is no hard-felt rule that all public sector must go and all private sector must be there since we are a mixed economy. But in that mixed economy, we must look at productivity and we must look at the competition. Whoever offers that is the future, whoever does not offer it, well, there are going to be changes. But specifically, in public goods and services, essential services like healthcare and transport for example, the argument goes that it is the responsibility of the government to own that fully so that it doesn’t depend on the whims of the market. What do you have to say about that? You are absolutely right; it is the responsibility of the government to provide the service. But it’s not the responsibility of the government to own it. If the same service like transport or any infrastructure can be provided better in a public-private partnership or even just directly from the private sector, well, why not? We have ports, roads, and many aspects of the power sector which are completely privately owned and if that service is provided, well very good and yet if it’s not provided, then the government has the responsibility to move in. So, it’s the question of the maturity of your economy. In many low-income countries, maybe the government will have to step in and do more of its work, especially in the least developed countries, and even seek international assistance to do it. But when your economy matures and you’re able to handle and have enough strength in the private sector like we do, we are very lucky in India to have such a strong entrepreneurial character which has been there for hundreds of years, we should use them to the best. In fact, we have been using them to the best and they have been performing rather well. So, you’re saying focus more on regulation rather than going after public ownership?